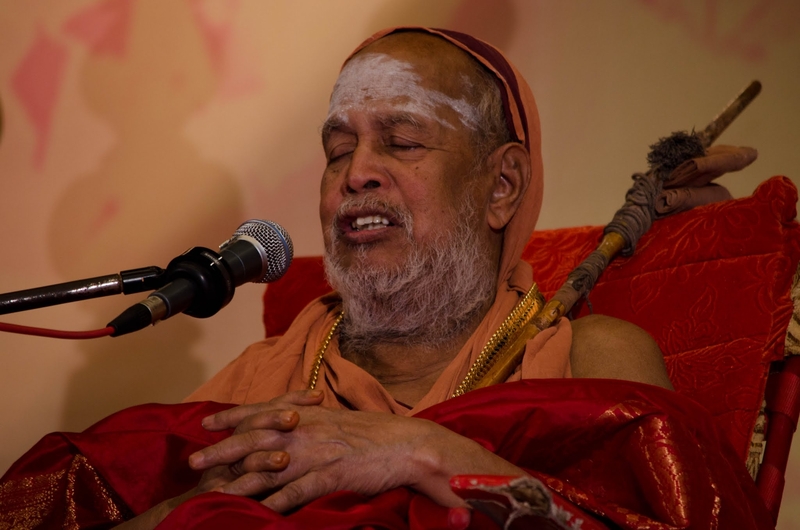 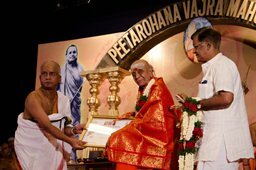 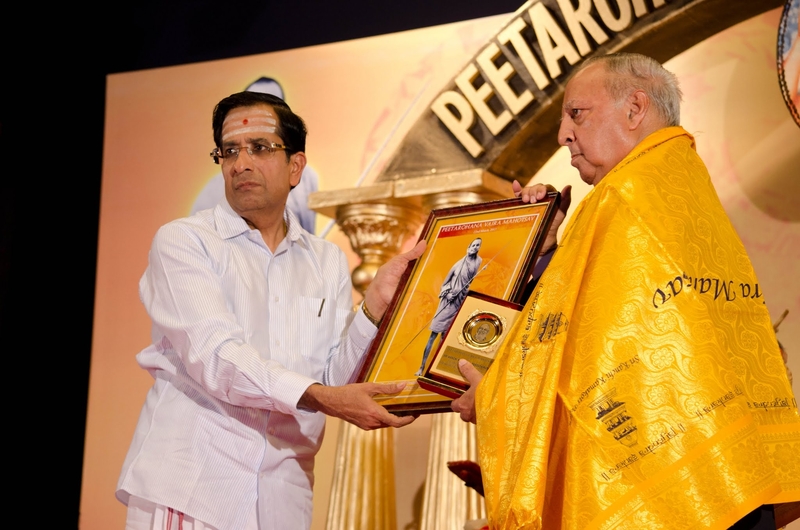 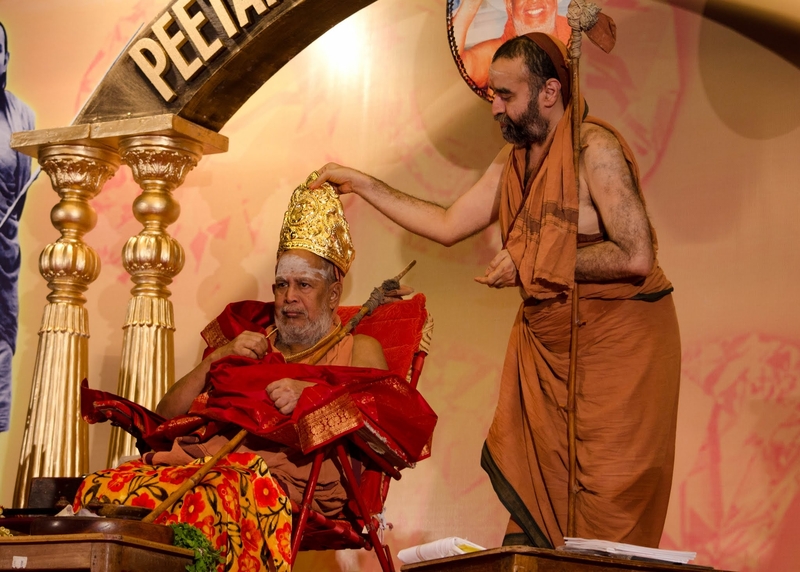 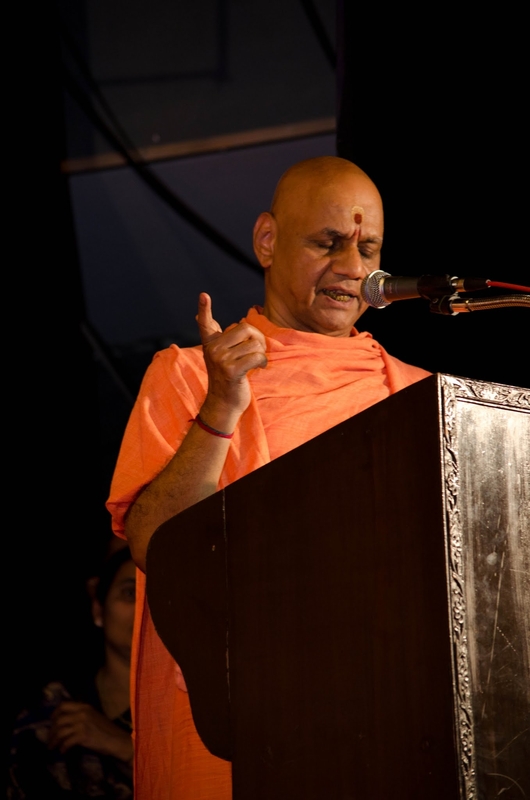 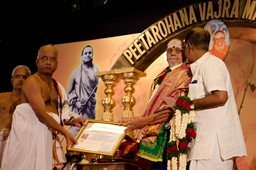 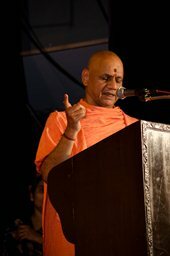 The Peetarohana Jayanthi Mahotsavam of His Holiness Pujyasri Jayendra Saraswathi Shankaracharya Swamiji was celebrated in Chennai at Krishna Gana Sabha, T.Nagar on 23 March 2013. 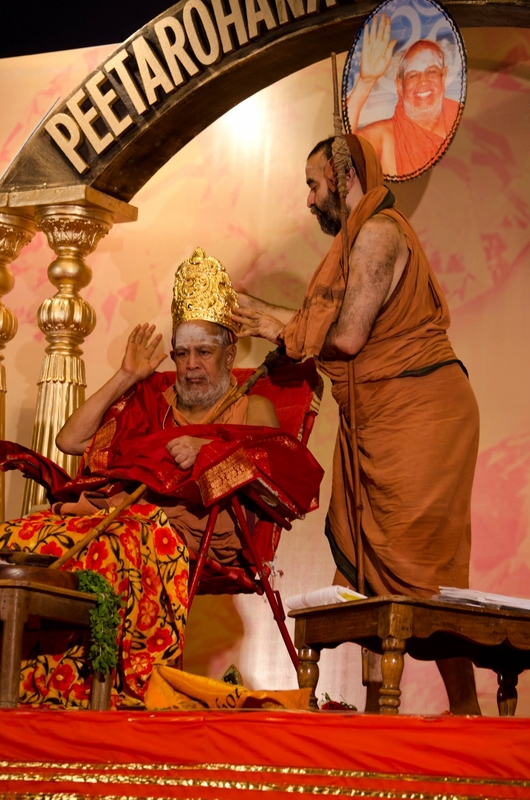 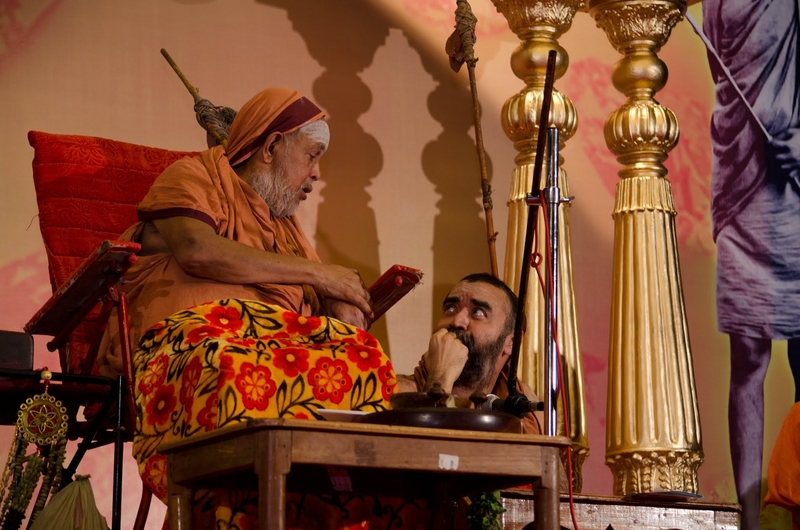 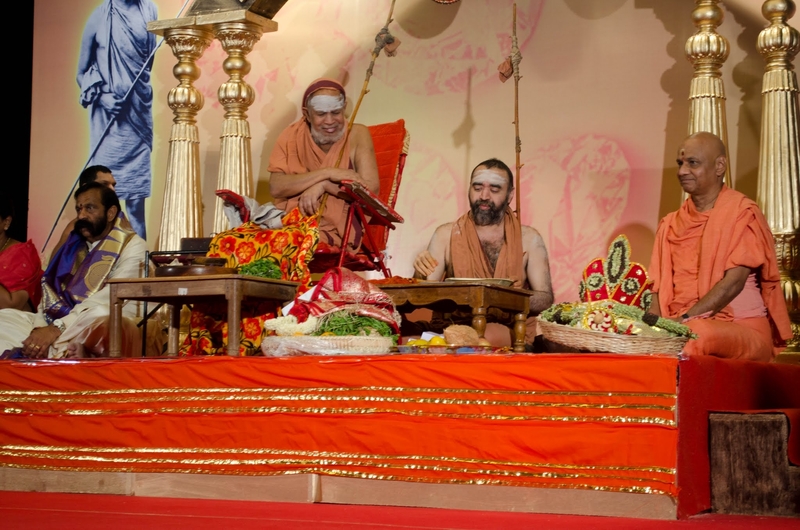 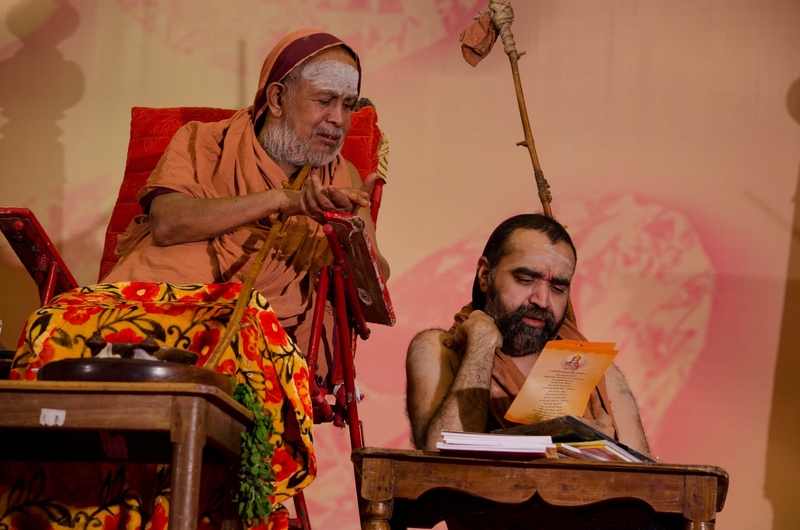 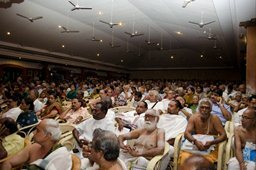 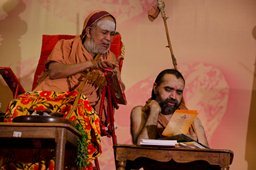 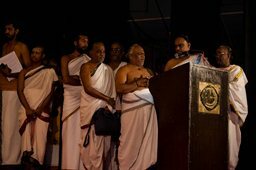 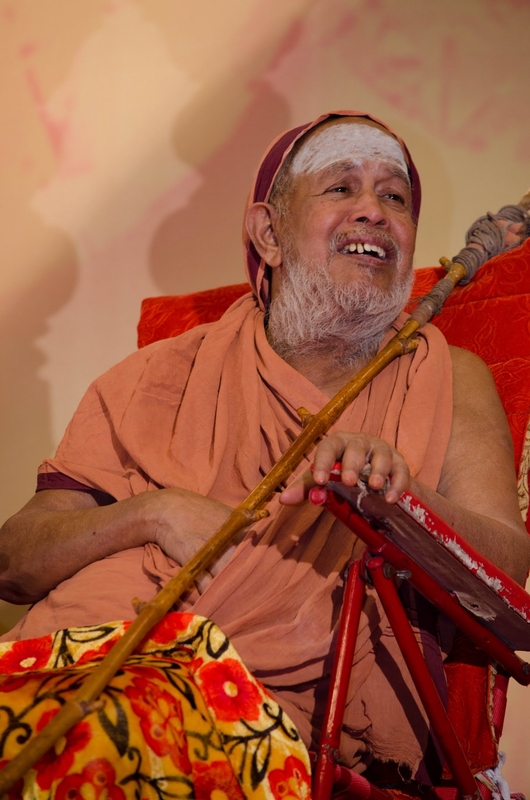 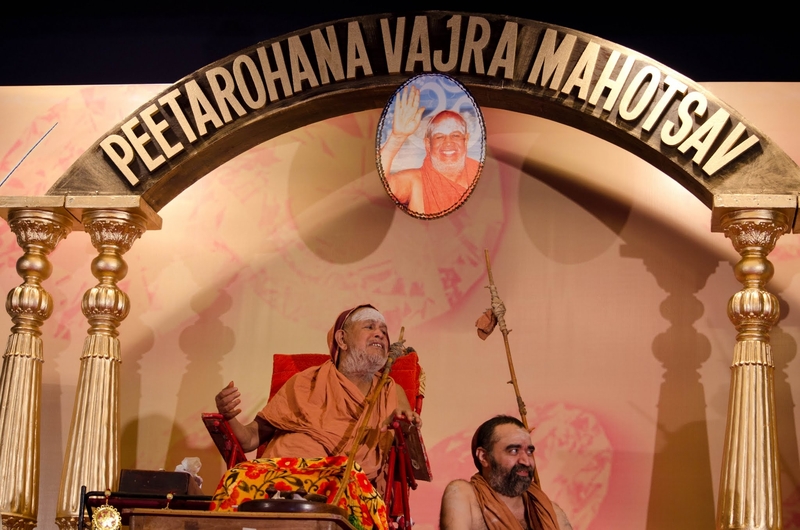 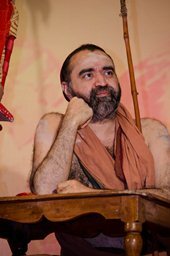 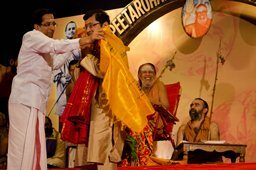 The Mahotsavam was held in the benign presence of His Holiness Pujyasri Jayendra Saraswathi Shankaracharya Swamiji and Pujyasri Sankara Vijayendra Saraswathi Shankaracharya Swamiji. 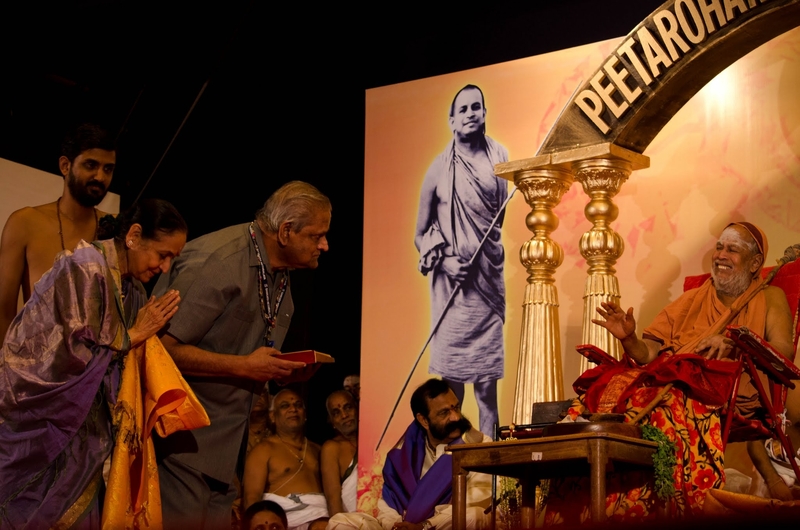 The programme commenced at 3 pm with namasankeertanam by Shri Udayalur Kalyanaraman. 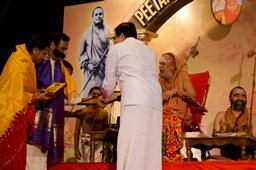 Swasti Vachanam was rendered by Veda Pandits. 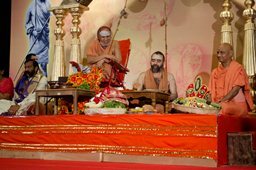 Their Holinesses gave Anugraha Bhashanam. Addresses were given by guests of honour. Five eminent senior scholars were honoured on the occasion. 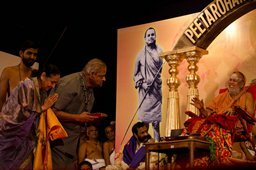 The event concluded with maitreem bhajata. 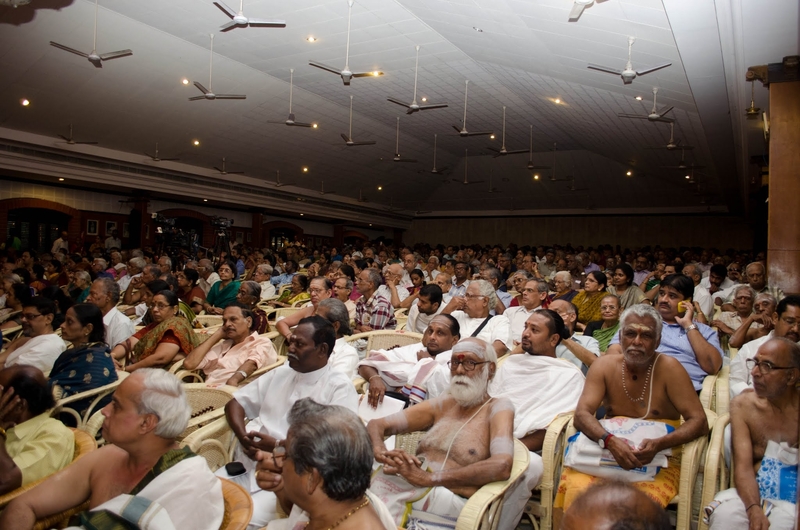 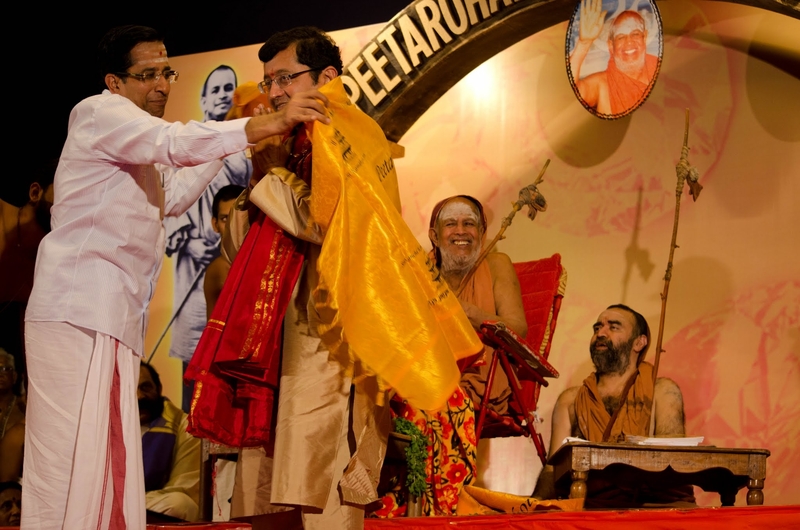 A large number of devotees participated in the Mahotsavam and received the blessings of Pujyasri Acharya Swamijis.